A Soviet Spy in the hand, worth U2 in the bush! 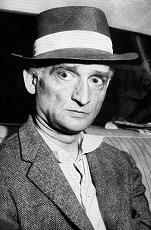 Rudolf Abel was the alias of William Fischer, born July 11, 1903 Newcastle upon Tyne; died Nov. 15, 1971, Moscow. Both of Fischer's parents were German, his father, Genrich Matveyevich Fischer (b. in 1871 in Russia, d. in 1935, Moscow) was a revolutionary who had been an associate of Lenin. In 1889 Genrich Fischer was arrested and sentenced for 3 years exile. In 1901 he emigrated to Britain, where spent 20 years organizing and indoctrinating factory workers. He was a secretary of the Newcastle "communist cell". Genrich Fischer actively participated in smuggling arms to Russia. At the age of 16 William Fischer passed the entry test to the London University and received British citizenship. Soon after, in 1921, Fischer's family returned to Russia. After Lenin's death Genrich Fischer fell out of favour and lived in the Vologda region. William's mother, Lubov Vasilyevna, was a midwife. William's older brother Genrich was born in Russia and tragically drowned after the family's return to Russia. William Fischer was drafted into the Red Army in 1925 where he served in the Radio Battalion. His wife, Elena Stepanovna Lebedeva, was a cellist in the children's theatre orchestra. His daughter Evelyn was born in 1929. By recommendation of his wife's sister he joined the security agency OGPU in 1927, and later its foreign department. The first of Fischer's assignments was in Norway from 1931 to 1934 with his wife and daughter, under the code name FRANK. He received a new real English passport and was traveling under his own name. During this first foreign assignment Fischer also visited other European countries to organise the web of clandestine radio stations and sometimes posed as an artist. In 1935/36 he was sent to Britain. He was probably mainly used as a radioman and encoder, apparently transmitting information from the Philby group. Fischer's long time friend, Kirill Khenkin, concluded on the basis of his conversations with Fischer, that whilst established in Britain he became acquainted with the world's most renowned Russian physicist Pyotr Kapitsa (1978 Nobel Prize winner). Khenkin believed that Fischer played an important role in convincing the hesitant Kapitsa to return to the Soviet Union, where his passport was seized and he was detained (although he received exceptional treatment and a special institute was build for him) . Kapitsa confirmed this story in the memoirs of Andrei Saharov, even recollecting Fischer's real name. In 1938 Fischer was sent to Chernovtsy, near the border between Bukovina, Galicia, and Polish territory occupied by the Germans to finalise contacts with agents recruited from German, Polish, and Ukrainian ethnic minorities. On December 31, 1938 he was expelled from the intelligence service and only by chance avoided further repercussions of his brother in law being declared an enemy of the people and his boss in Britain Alexander Orlov defecting to the West. Fischer worked as a patent technician and later as an engineer at an aerospace manufacturing plant. He was recalled by NKVD in September of 1941 and became a chief of the radio communication section "Otdelnaya Brigada NKVD" in the Sudoplatov's 4th "Special Tasks" Directorate. In mid 1942 Fischer was put in charge of the "deception games" radio control. He took part in the famous radio-deception operation "Monastery". During the war he lived in his Moscow apartment together with his friends, the real Rudolf Abel, and the future dissident Kirill Khenkin. The real Rudolf Abel was Fischer's co-worker. He was born in Riga, Latvia on September 23, 1900, not on July 2, 1902 as Fischer stated to the FBI. He went on several assignments to China and some European countries. Rudolf Abel died in 1955, his brother was executed by the NKVD in 1938. In 1946 Fischer was transferred to the NKVD "Committee of Information" under the supervision of Alexander Korotkov, but he still remained at Sudoplatov's disposal. Sudoplatov was head of the Special Service for Intelligence and Sabotage with MGB, also known as the Bureau MGB N1 for Foreign Sabotage since 1950, from 1948. Fischer entered a special training program for his future assignment in the US. On October 12, 1948 Fischer left for the United States under the code name ARACH. His salary was $500 per month ($3,570 in 2000) and he got $5,000 ($35,700 in 2000) for establishing his cover. He entered the US from Canada on November 16, 1948 as Andrew Kayotis (a real American who had died in Russia). Fischer's general assignment was the reorganisation of the whole "illegal" (without diplomatic or other "cover") spy network in the US and setting up his own system of radio communications with Moscow. Fischer was also in charge of creating a sabotage network. Actually it was two separate networks: on the West and East coasts. The west coast network encompassed agents in California, Brazil, Mexico and Argentina. Latin American agents were experts in sabotage operations with experience in guerilla war against Germany. One of them, Maria de la Sierra (code name PATRIA), was Trotsky's former secretary (a.k.a. "Africa"). Michael and Anna Filonenko were Fischer's contacts in Brazil. Michael Filonenko was an extremely successful Soviet agent in South America. He was sent there in 1951 through China as an immigrant. With experience only in mathematics and blasting bridges and railroads he started a successful business in Brazil and became acquainted with the members of the Brazilian government and even Paraguayan dictator Stressner. After Abel's arrest, contacts with Filonenko were kept only via a radio station located on the special "fishing" vessel in the Antarctic. The remains of the South American spy network, created by Filonenko, are probably active even today. Initially major targets for Fischer were on the West Coast near Long Beach military facilities. Agent there had connections in the Chinese community who put explosives on board American ships carrying supplies to the Far East. The east coast network included in part Kurt Wissel who had sabotage experience in prewar Europe and was a senior engineer for a shipbuilder near Norfolk. He set up a network including dockers and service personnel from German ethnic community to carry out sabotage operations. In the autumn of 1950 during the thick of the Korean war all explosive experts were summoned from Latin America and stayed in the US for two months ready for possible action. Fischer established the permanent radio communications with the special combat troops which were stationed in Latin America and were ready to come North through Mexico, disguised as seasonal workers. There was a network of safe apartments and supporting infrastructure established especially for these purposes. In 1948-1949 Fischer led the approaches to top level American nuclear scientists to resume cooperation "with the international anti-fascist scientific community", which they turned down. By that time the Cold War was on and the Americans knew that Soviets already had nuclear weapons. He personally met Theodore Hall in a New York in 1949 to assuage Hall's doubts about remaining in espionage. Theodore Alvin Hall (code names PERSEUS, MLAD) was one of the most important sources of information from Los Alamos laboratories. He begin to supply information for the Soviet intelligence when his was just a 19 years old because he "was worried about the dangers of an American monopoly of atomic weapons". In 1950 Fischer settled in a Brooklyn studio apartment with the cover of Emil R. Goldfus - photographer and artist. He had several radio transmission sites: between New York and Norfolk, near the Great Lakes and on the West Coast. In addition to the "special tasks" activities Fischer assumed command of the atomic spy network's remains. He was trying to continue recruitment of the American physicists working on atomic projects. He supervised activities of the well known spies Lona and Morris Cohens (code names VOLONTEER & LESLY) with whom he become close friends. The Cohens were dedicated Stalinists and recruited many informers. They worked as couriers between atomic scientists, including Theodore Hall, and Soviet controllers. When the Rosenbergs were discovered in 1950 the Cohens fled to Paris. They were later arrested in Britain on another assignment as Peter and Helen Kroger, sent to prison for 20 years and later exchanged. After the Soviets successfully tested their own nuclear bomb, Hall decided he had done enough to balance the world and withdrew from spying. Apparently in 1952 Fischer was unsuccessful in trying to convince Hall to continue spying. Fischer was recalled to Moscow in 1955 for several months mostly for "reliability checking". At this time he also asked for the recall of his assistant Hayhanen who was to later betray him. Hayhanen had been assigned to Fischer in 1954 as a substitute for another assistant, Robert, who died on his way to the US when his ship sank in the Baltic sea. (Correct Russian name - Gyavgyanen Andrei Stepanovich, born. 1920). Fischer was back working in New York when Hayhanen's defection became known to Moscow. The Centre ordered Fischer to leave immediately. He fled to Florida where he laid low for two months. Soviet spies watched the studio and reported no presence of FBI surveillance. Fischer felt it safe to return to New York, where he was arrested in Manhattan's Latham Hotel. On 10th February, 1962 William Fischer was exchanged for the American spy plane pilot, Francis Gary Powers, who had been shot down over Russia a year or so before. The loss of his U2 plane with its surveillance and technical equipment was a serious embarrassment to the US at the time. The exchange of spies was a face saving political act rather than an humanitarian one. In 1990 Fischer was honoured with his portrait on a postage stamp. Other stamps in this series were dedicated to Konon Molodyi, captured in England in 1961, who was also a close friend of Fischer, and Kim Philby, the British double agent who fed key secrets to the Soviet Union for 26 years, whom Fischer called traitor. Knut Jacobsen: Historien om Rudolf Abel. Den 5.mai 1960 holdt Nikita Krusjtsjov en tale i Det øverste sovjet der han bl.a. sa at et amerikansk fly var skutt ned over sovjetisk område, den 1.mai. Amerikanerne var raskt ute med å fortelle at et amerikansk fly, som var ute for å samle meteorologiske observasjoner, var savnet siden 1.mai, og at det måtte ha forvillet seg inn over sovjetisk område. Dermed satt amerikanerne i saksa, for den 7.mai møtte Krusjtsjov på ny opp i Det øverste sovjet og fortalte at flygeren hadde reddet seg i fallskjerm og var tatt til fange. Dessuten var det funnet filmapparat og en film med opptak av sovjetiske militære installasjoner. Dette såkalte U2-flyet hadde startet i Pakistan og skulle etter planen lande i Bodø. Flygeren het Francis Gary Powers. Han ble stilt for retten i Moskva, i full offentlighet, og han fikk ti års fengsel for spionasje. Men Powers ble ikke sittende så lenge. Etter et par år i fengsel kommer han en dag til en overgang mellom Øst-Berlin og Vest-Berlin. På den andre siden står det også en fange med sine amerikanske voktere. Det er Rudolf Abel som nå slipper å sone mer av sin dom på 25 års fengsel for spionasje. De to blir gitt fri fra sine voktere og går hverandre i møte, passerer hverandre, og kommer tilbake til sine egne. Rudolf Abel var ingen ukjent mann i Norge. Han hadde bodd her noen år rundt 1930, men da under sitt rette navn, William Fisher. Et par år bodde han i Golia i Østre Aker, og adressen var Damfaret 18a. Min adresse den gang var Damfaret 14b. Jeg husker derfor familien Fisher. Han gikk for å være engelskmann, etter det jeg kan erindre, gift med en russerinne. De hadde en datter, og jeg mener hun het Lydia. Jeg var vel 10-12 år den gang. Noen jenter på min alder fikk lære ballettdans av fru Fisher, og de opptrådte på skolen en gang, kan jeg huske. Golia på den tid var et nybyggersamfunn med folk fra hele landet, innflyttere fra nord og sør, øst og vest, men også utlendinger. En dansk urmaker, en svensk murer, ei tysk husmor, så hvorfor ikke en engelskmann og ei russerinne? På den tid var radio noe nytt. Krystallapparat var begynt å bli vanlig blant folk. Med gode antenner var det mulig å høre musikk og tale helt fra utlandet. Fisher hadde den største antenna i nabolaget og var en ivrig radiomann. Men så var han jo også ingeniør. Familien var fremmede fugler, men de gled inn i miljøet på et vis. Fisher stelte i hagen, hilste og pratet med naboene. Han var også uvanlig på den måten at han ikke behøvde å gå fast på jobb hver dag slik som alle andre i nabolaget. Han flyttet fra Golia til en annen kant av byen, og etter en stund ble han utvist fra landet, så vidt jeg vet. Den grenseovergangen der Rudolf Abel ble utvekslet med Gary Powers var sannsynligvis Oberbaumbrucke over elva Spree. Dette i følge opplysninger i Dagsavisen under temaet ”Reiseliv” den 23.07.2000(eventuelt 03.07.2000) som Frode har meddelt meg. Her blir denne brua omtalt som et symbol for delingen av Berlin, der spioner ble utvekslet under den kalde krigen. Men hun ble plassert i Oslo fire år tidligere, som Marina Lie, gift med den norske forretningsmannen Einar Andreas Lie. De hadde inngått ekteskap i hennes fødeby, som da het Leningrad. I Oslo installerte de seg i Hafrsfjordgata på Frogner. Da Lie ble utvist fra Sovjetunionen i 1934, var det sannsynligvis i den hensikt å få hans russiske kone til Oslo. Det hastet litt for de sovjetiske spionsjefene. I Oslo hadde nordmennene holdt så nøye oppsikt med en interessant sovjetisk «flyktning» at han ble utvist på den tiden. I Norge het han Wilhelm August Fisher. Da han måtte dra, reiste han til USA via Canada, og i New York ble han arrestert i 1957 under navnet Rudolf Abel. Han hadde ledet en større sovjetisk spionring i USA og fikk 30 års fengsel. Men allerede i begynnelsen av 1962 ble han utvekslet mot den amerikanske U2-flygeren Francis Gary Powers - mannen som skulle ha landet i Bodø, men som ble skutt ned over Ural 1. mai 1961.